operating systems and applications running on cloud. Cloud security is essential to assess the security of your operating systems and applications running on cloud. Ensuring ongoing security in the cloud requires not only equipping your cloud instances with defensive security controls, but also regularly assessing their ability to withstand the latest data breach threats. Cigniti’s team validates whether or not your cloud deployment is secure and gives you actionable remediation information when it’s not complying the standards. The team conducts proactive, real-world security tests using the same techniques employed by attackers seeking to breach your cloud-based systems and applications. 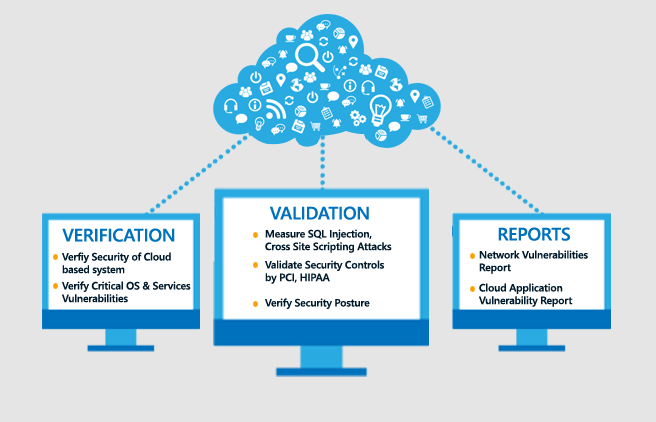 We deliver a variety of reports that verify your cloud security posture and provide actionable intelligence to help you quickly prioritize and remediate any exposures. Network Vulnerabilities Report: Provides details specific to the machine instances tested on exploitable OS and services vulnerabilities, plus links to patches and other remediation resources. 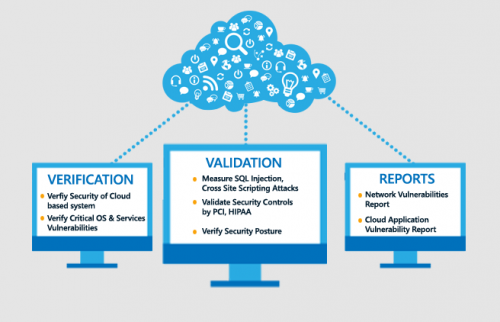 Cloud Application Vulnerability Report: Explains how your applications can be exploited via SQL Injection, Cross-Site Scripting, Remote File Inclusion and other attack types – and provides valuable information for code fixes. Cigniti’s unique Services helps you in weeding out risks from your application and also ensures your applications meet regulatory and compliance requirements. Leading businesses of North America rely on our penetration testing services to make their applications threat-proof. We have worked with leading large and small enterprises and helped them build a safe and secure software for their users. A few of them are listed below.